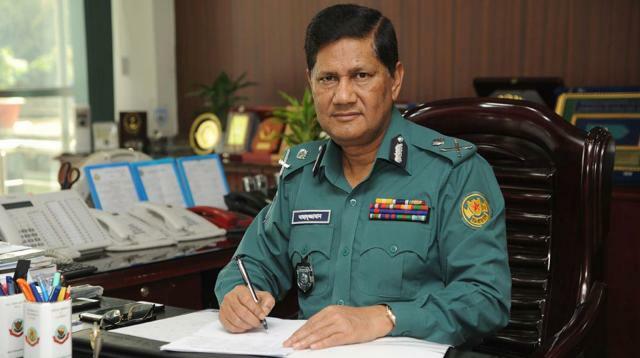 Dhaka Metropolitan Police (DMP) Commissioner Asaduzzaman Mia issued stern warning against unfit vehicles and random parking, today reiterating his call to the bus owners not to appoint drivers and helpers on contract basis. “No contractual appointment of drivers will be allowed on the city streets-Please stop providing buses on contract basis,” the DMP chief told a view-exchange-meeting on “traffic discipline and awareness” programme at Mohanagar Natya Mancha here. He categorically said drive against the unfit vehicles and random parking would continue. “Bus drivers will have to pick passengers from the set up ticket counters and police will provide necessary assistance,” Asaduzzaman assured. He added that traffic rules would be followed strictly to avoid any mishap and restore discipline on roads. The DMP commissioner said the pedestrians will be fined if he or she does not use zebra crossing, foot over bridge and underpass to cross the roads. “Legal action will also be taken if any passer-by is found responsible for any street accident,” he added. Asaduzzaman said vehicle must ply according to route permit and its door must keep closed between the gaps of two stoppages. The DMP chief sought help and cooperation of all to bring back discipline on the city streets. Senior police officials, leaders of the transport owners association and transport workers body were also present in the meeting. He categorically said drive against the unfit vehicles and random parking would continue. “Bus drivers will have to pick passengers from the set up ticket counters and police will provide necessary assistance,” Asaduzzaman assured.